Venezuelan President Nicolas Maduro warned US President Trump Sunday White House would be stained with blood if military action is taken against the country and to overthrow him from presidency. Maduro asked Trump to mutual respect each other and not to repeat Vietnam in Venezuela. Defending an ultimatum from European Union to call for fresh polls the president said the presidential elections will be held as scheduled for 2024. Last month Venezuelan opposition leader Juan Guaido self-declared legitimate leader of the country. He was backed and recognized by United States, Canada and several Latin American countries. 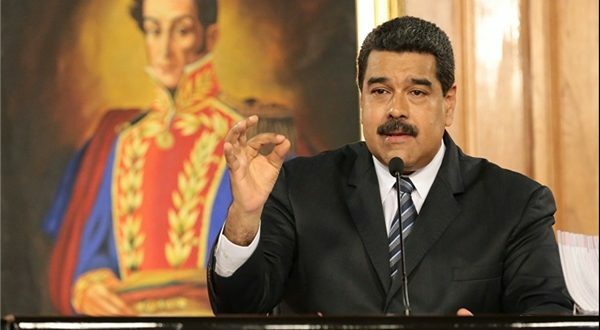 Meanwhile, couple of powerful countries including Russia, China and Turkey are backing Maduro and recognizing him as the president of Venezuela. Protests were seen on the streets of Caracas on Saturday demanding Maduro to step down and allow Guaido to become the president. Guaido called on the country’s military on Sunday to permit aid from Brazil and Colombia but it is feared this could be used as cover for an invasion to depose Maduro.